Weta’s camera requirements are quite diverse and often vary year-to-year. In addition to its own capture stage, the facility sends teams around the world to different locations as part of the company’s on set visual effects team. Movies are increasingly incorporating visual effects from day one, either running motion capture or doing complex reference and survey work on location. Weta’s visual effects crew requires gear that is sturdy enough to stand up to the elements, while also being dexterous enough for run-and-gun applications, reducing setup time from shot to shot. 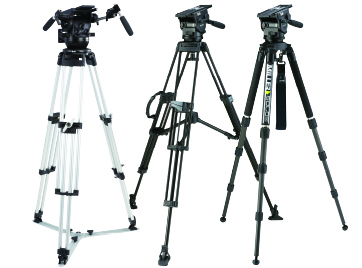 The Arrowx 5 is able to provide the flexibility for Weta Digital to achieve any shot required. “After experiencing the Arrow 40 Sprinter II 2-Stage Carbon Fibre Tripod System, which we used for the upcoming War for the Planet of the Apes film, we are excited to take the next step in this versatile fluid head range,” says Matt Tuffin, camera operator, Weta Digital. The Arrowx Series features CB PLUS™, a new and unique sequential counterbalance design, which takes traditional counterbalancing a step forward, resulting in repeatable, accurate and rapid setup. CB PLUS features eight large counterbalance steps, allowing the user to get to their needed position quickly and efficiently. The CB PLUS switch adds a half step enabling counterbalance refinement. The Arrowx 5 has a wide payload range from 4.4 - 46.2lbs (2 - 21kg), 16 positions of counterbalance and 7+0 pan and tilt drag positions. 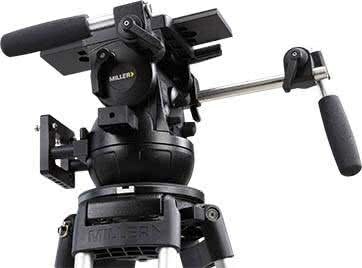 The fluid head provides Weta with the ability to easily mount the head on flat base surfaces such as sliders with the removal of the clamp stud, or adapt for a Mitchel Base. The Arrowx 5’s 120mm sliding plate travel helps the team to quickly re-balance changing camera payloads. Precision ball bearing supported pan-tilt movements deliver silky smooth starts and soft stop fluid actions. Floating pan-tilt calliper locks ensure bounce free on-off locking. 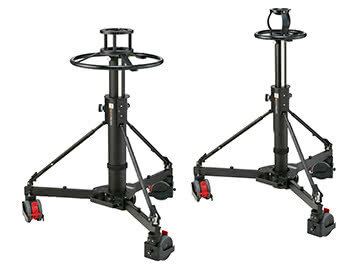 This addition of the Arrowx 5 is based on the company’s positive experience using Arrow 40 Sprinter II 2-Stage Carbon Fibre Tripod Systems for War for the Planet of the Apes. For this movie, Tuffin faced the adverse conditions of the Canadian mountainside. Rain and snow persisted throughout the shoot and were sometimes even part of the set. 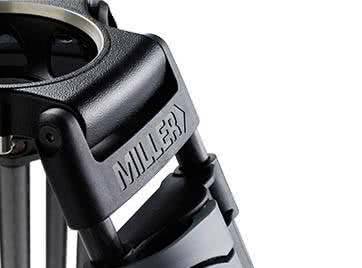 Miller was with Tuffin’s team every step of the way, weathering the rugged conditions. Miller is continuing this support of Weta’s projects, as representatives from the company visited Weta’s headquarters to personally deliver the Arrowx 5 systems. 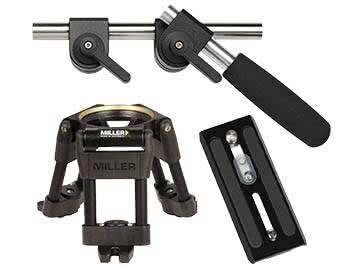 “Miller is delighted to be associated with Weta Digital” says Charles Montesin, Global Sales and Marketing Manager, Miller Tripods. 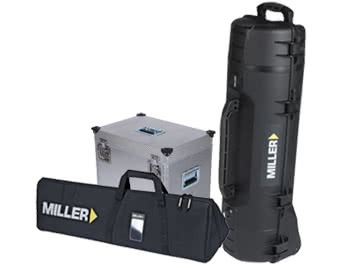 “We wanted to take this opportunity personally congratulate and thank Weta Digital for their trust and confidence in Miller products, being one of the first users globally to take Arrowx.”Miller Camera Support Equipment.